A short review of last year on the road shows me that I spent almost 300 hours on the road training and racing and covered 2,750 km doing that. 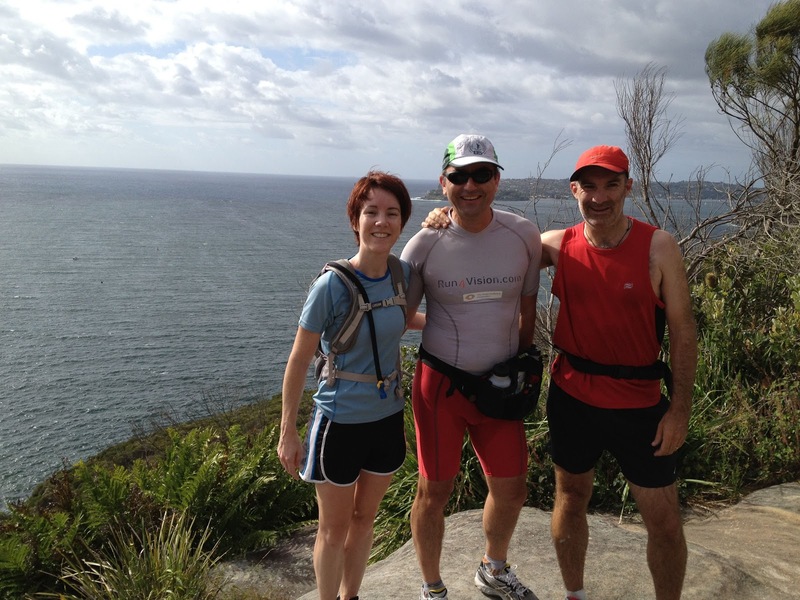 Highlight was of course the training and racing of the Sydney Coastrek 2012 from Palm Beach to Coogee Beach. Together with Jo, Sam and Denis we won the 100 km trail walk in 14hrs 28min and in the process we also raised over $15,000 for The Fred Hollows Foundation. I also like to mention that Ben organised a team of four visually impaired walkers, and together with their four guides, they covered the 50 km from Palm Beach to Balmoral Beach in 18 hours. Like we, Ben not only raised much-needed funds for The Fred Hollows Foundation, but was liking it so much that he will be attempting to cover the entire 100 km in March this year. 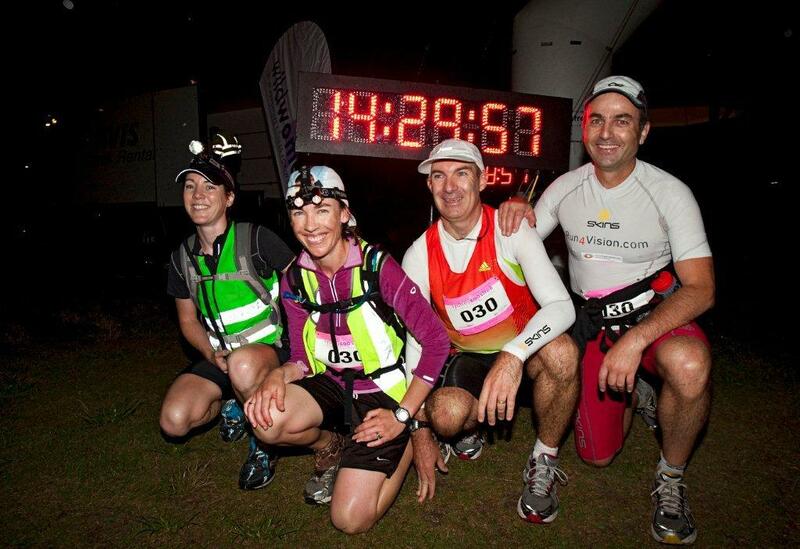 Denis, Sam and myself plus a still missing second female team member will be racing the 50 km night run from Balmoral to Coogee. Again, our goal is to give it the best on the trail and of course match our fundraising efforts from last year. 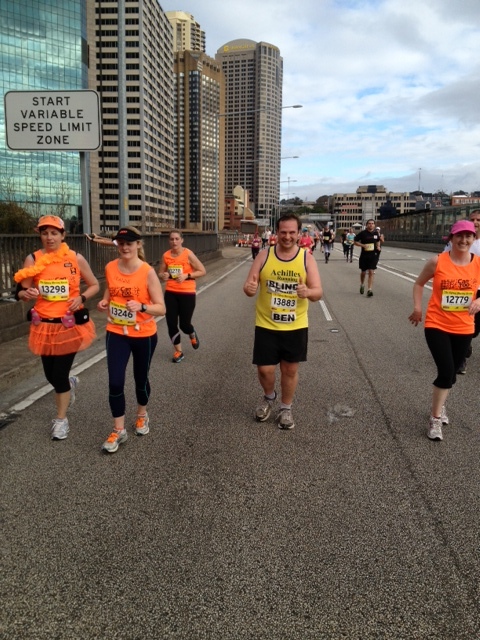 The rest of 2012 was spent with training and guiding Ben on the Sydney half-marathon in May and the City to Surf in August. I also went with Denis to Wagga Wagga and raced a full marathon. It was quite a different feeling to run by myself again (without guiding Ben and talking the whole time) and interesting to have to deal with my own pain and issues during the 42 km. Whilst guiding Ben, it is actually quite easy for me to forget my pain on the run as I have to talk all the time. In the meantime at home, Ben also ran for 12 hours and covered 75 km in the Centennial Park Ultra in September together with guide Elis. Whilst these guys were running in circles for a day, I did enjoy a couple of weeks at a beach in Tonga. Thank you all for supporting us to raise money for a great cause. 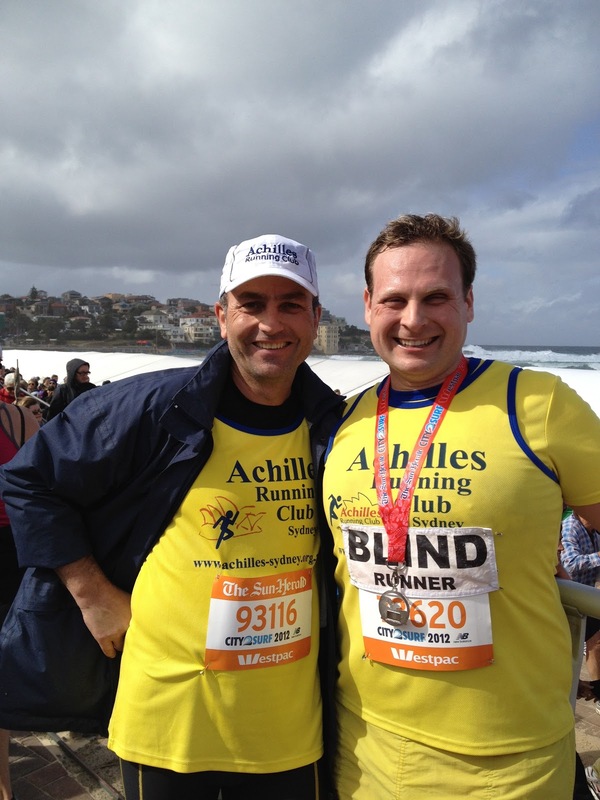 I look forward to be in touch again with many exciting stories of running, guiding and fundraising in 2013. Happy feet, Happy New Year and save training! This entry was posted in Updates and tagged ben, training by run4vision. Bookmark the permalink.